The 109th release of the WSUWP Spine Parent Theme, version 0.27.1, was deployed earlier today. It finally adds helper links for screen readers that make skipping straight to the main content or the primary navigation much more pleasant. Hit “Tab” on your keyboard once when a page first loads to see a Skip to main content link. Hit “Tab” a second time to see Skip to navigation. Hitting “Enter” on either of these will focus your keyboard on that area of the page, making it easier to navigate through other portions from there. Note that if you’re logged in, you’ll get a Skip to toolbar link first to help with WordPress navigation. The concept of bypassing blocks of content is described as part of WCAG 2.0 2.4.1. If you notice any issues related to this implementation, please let us know via a new issue on the Spine Parent Theme repository. And drop in on open labs every Friday morning to discuss! In a default WordPress installation, users with a role of Author, Contributor, or Subscriber have varying levels of access to posts, but do not have access to create or edit pages. 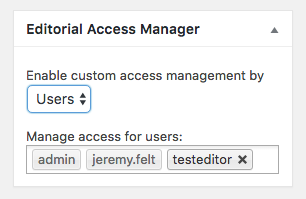 Users with a role of Editor or Administrator have full access to both. 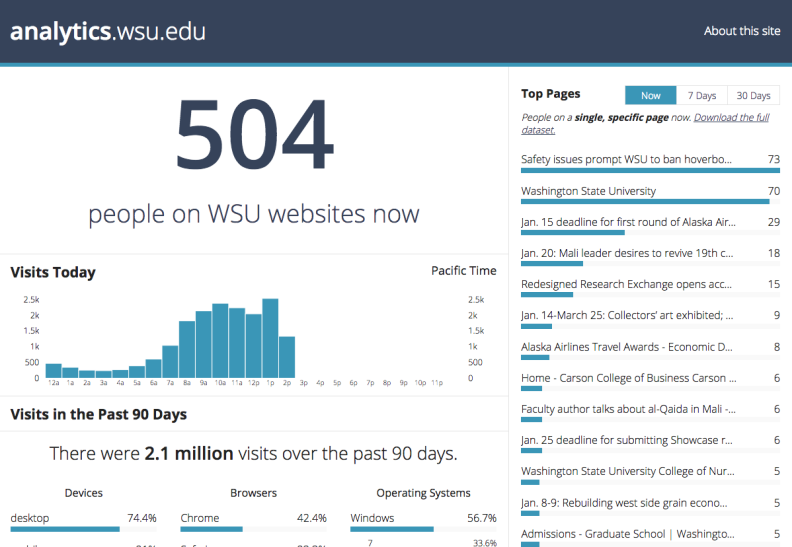 At WSU, pages are frequently more useful than posts for managing large amounts of content on a site. 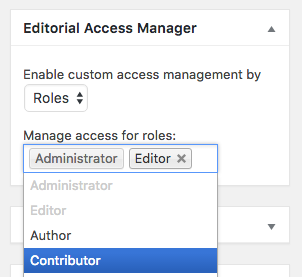 We have made a few adjustments to the Author and Contributor roles so that more users have access to pages without having the full set of capabilities associated with the Editor or Administrator roles. Authors and Contributors can create new pages by default, but must submit them for review before they are published. An Editor or Administrator can review the content and then publish when ready. As long as the page has not been published, the creating Author or Contributor can continue to edit the page and resubmit for review. Editors and Administrators can always create and publish new pages. Authors and Contributors are not able to edit existing pages by default, even if they are assigned as the page author. 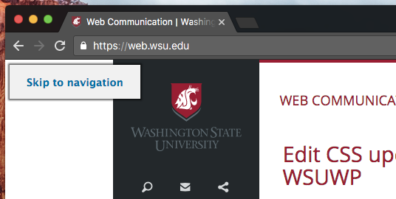 If the administrator for the site enables the Editorial Access Manager plugin, which is available for all sites on the WSU platform, Authors and Contributors can be assigned as editors for the page by either role or user. Once assigned as an editor for a page, Authors and Contributors are able to edit all parts of the page and publish their changes at will. If you have any questions about access to pages and posts by any of the user roles, please feel free to stop by open lab on Friday mornings or in the WSU Web Slack team at any time. Howdy! Here’s a recap of the topics we discussed during open labs this week. We’ll turn comments on at some point in the near future. For now, if you have any questions or suggestions, check out the WSU Web Slack team. Background images can now be assigned to columns in the page builder interface. Use the gear icon on a column to bring up the interface to enter the image URL. This is similar to how background images can be added to sections. The background image itself will only take up the size of the content in that column. The equalize class can be assigned to a section to make all column heights equal in that section. While Marsha was showing off the work she’s been doing on https://hws.wsu.edu, we explored CSS gradients vs image gradients. ColorZilla provides a gradient editor, which is a good resource for generating CSS gradients. There are several roles and capabilities that need work throughout the platform. Joyce brought up an issue where some folks may only need access to add calendar events, but should not be able to publish posts and pages without review. We’re tracking our wishlist of future roles and capabilities on GitHub in WSUWP Platform issue #274. We talked through some of the current status of the people directory, including the possibility of mass importing users by WSU NID. If you have examples for how you would like people records to appear when syndicated on your site, please chime in on Slack. We’ll be looking to add a couple other HTML templates soon to cover some basic cases. If we don’t see you before the end of the year, have a happy holiday!